The foundation stone for Wallace Hall was laid on 21st January 1946 by Dr. Albert Bucker Coe, Minister of Oak Park church, Illinois; U.S.A. Wallace Hall was earlier accommodating undergraduate students and was converted into a Postgraduate students hall in the recent years. 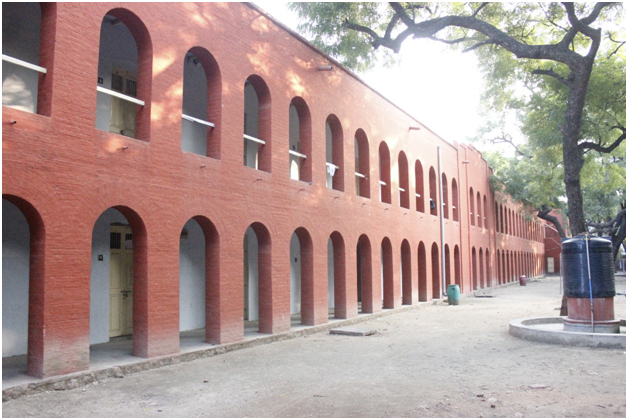 This hall houses ninety eight P.G Students and two superintendents. The Warden of the Hall is responsible for the day-to-day administration of the Hall. The superintendents of the Hall will assist the warden in his day to day administration. Matters pertaining to policies are taken in the Hostel Board meetings of the college. The views and voices of the inmates of the hall are represented through the periodic meetings of the hall cabinet that consists of an elected general secretary, a sports secretary, a prayer secretary and a mess manager. The student residents run the hostel mess under the dividing system. The cabinet is elected by the residents of the hall and implementation of any new programmes is always through the cabinet. All the rooms are mosquito proof, with sufficient lighting. The mess adjacent to the hall can accommodate 80 inmates at a time. There are fixed timings for dining and entertainment. From Monday to Thursday, the study hours of the hall will be between 8.30. p.m. and 10.30 p.m. During the study hours, students should do quiet reading. If any Saturday is declared as working day then the previous night [i.e., Friday night] will have regular study hours. Spoken English are held to the interested inmates, who like to improve their English communication skills. A library with books on General Knowledge, entrance and competitive examinations is available for reference for the residents. It is under the custody of the Home secretary. All final year inmates are facilitated to get two – wheeler and light motor vehicle license. Interested final year students are facilitated to obtain passport. Karate classes are regularly held and at the end of academic year green belt is provided to the qualified learners. To motivate the inmates to develop their physical structure,”Fun Run” is organized at the beginning of every academic year.